Make sure your "Build Active Architecture Only" setting is set to "No"
I case you bought an old app somewhere and are having this error message, also check that the deployment target is set to 8.0 or higher in both the project and the target. Not the answer you're looking for? Browse other questions tagged ios xcode ipa or ask your own question. 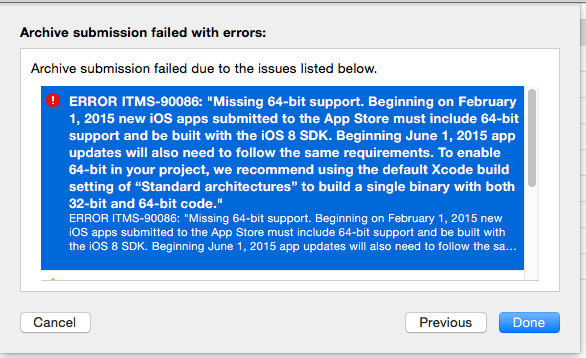 Error itms 90086 while submitting app to itunes connect?